The awards and honours bestowed upon Mark Casse in recent years are unprecedented. And they will likely continue over the next decades. A partial list would include a record eight Sovereign Awards as leading trainer. Breeder’s Cup winners Tepin and Catch a Glimpse. An Eclipse Award. Woodbine’s leading trainer 11 times and his champions Triple Tiara winner Sealy Hill, Queen’s Plate winner Lexie Lou and Canada’s Horse of the Year Uncaptured. There isn’t a major racing jurisdiction in America that Casse has not saddled a stakes winner. His staff of over 125 people includes numerous assistant trainers to conduct his lucrative position as one of the continent’s top horsemen. 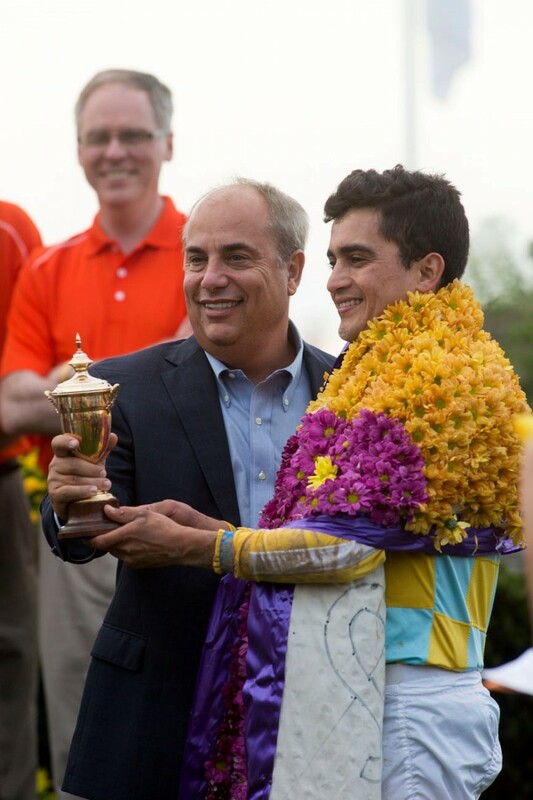 Casse is reputedly one of the savviest bloodstock agents in the business, and over the years has attracted many of the major owners: Harry ?Mangurian Jr., Bill Farish, Gary Barber, John Oxley, Robert Wilson, Eugene Melnyk, Conquest Stable and Robert Masterson. Where did it all begin? “I guess you could say it’s about the only thing I’ve ever known. My dad once said that if it didn’t whinny, then I don’t know anything about it.” Casse was born in 1961 in Indianapolis and recalled mucking out stalls in frigid Indiana winters before the family moved to Florida. Another memory was attending races with his father at Old Woodbine. “I was eight and I remember the horses coming out of the chute, ‘whoosh, the race was over’.” He was referring to the two furlong races at the spring meet. A few years later he and his dad, Norman Casse, drove from Ocala in a horse van to Louisville for the Kentucky Derby and Secretariat. “The stands trembled. ?It gave me chills all over.” His future career was born that May afternoon in 1973. At age 15 he was running his dad’s Cardinal Hill Stable. He got his trainer’s licence when he was 17 and in 1979 won his first race at Keeneland, Ky. His first Gr. 1 winner was Exciting Story, who won the Metropolitan Mile at Belmont in 2001 at odds of 56-to-1. The colt was owned by Mangurian, who gave Casse the biggest boost of his career when he hired him to run his racing and breeding operation in 1998, which was the year Casse opened a public stable at Woodbine. Instead of shipping from track to track in Kentucky, where he often was the leading trainer at Churchill Downs or Turfway, Woodbine’s facilities, quality of racing and a home base for five or six months a year appealed to Casse. ?He has left an indelible imprint on Canadian racing.